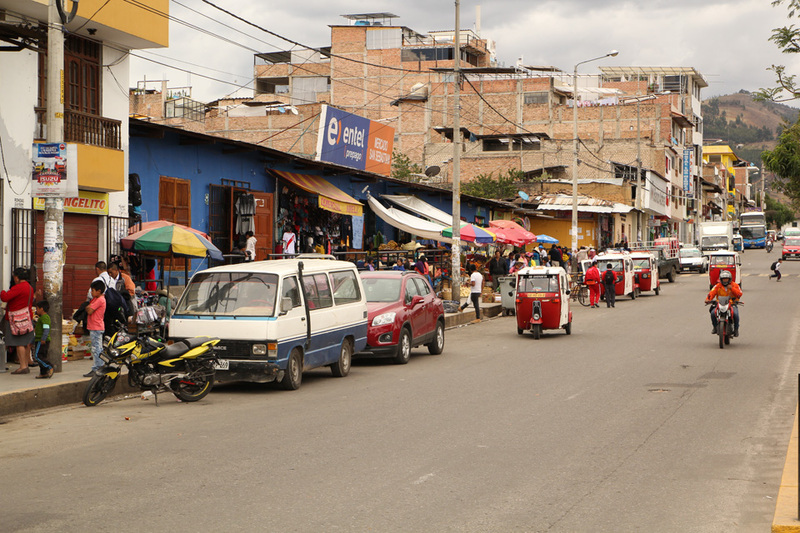 Peru and Bolivia were our main destinations which we wanted to visit during this South American journey. However, the cheapest flight ticket we found from Europe was to Quito, Ecuador which was not far away from Colombia, so we first explored these northern countries. We arrived in Peru in the late August 2017. 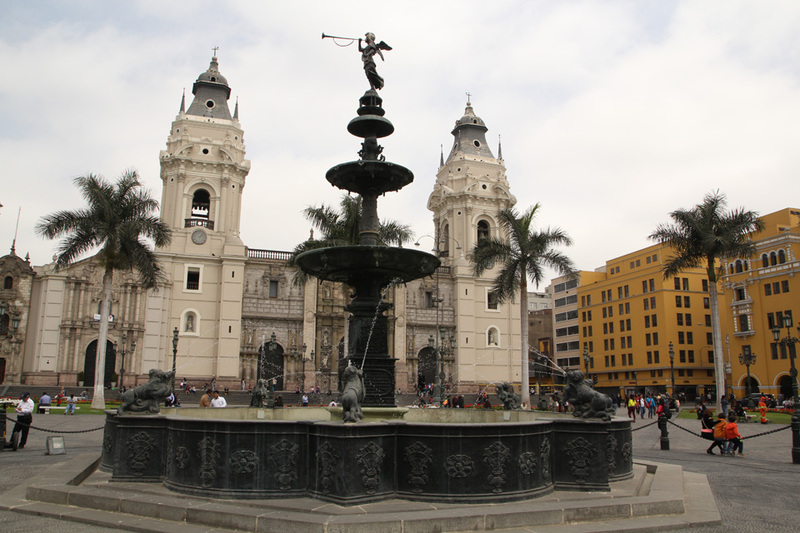 During our three month stay in this probably the most touristy country in South America, we moved from the Ecuadorian borders to the capital of Lima from where we flew to La Paz, Bolivia in mid-November 2017. The main Peruvian highlight is undoubtedly the famous world ruin of Machu Picchu. This definitely amazing Inca city lies in southern Peru near Cuzco. 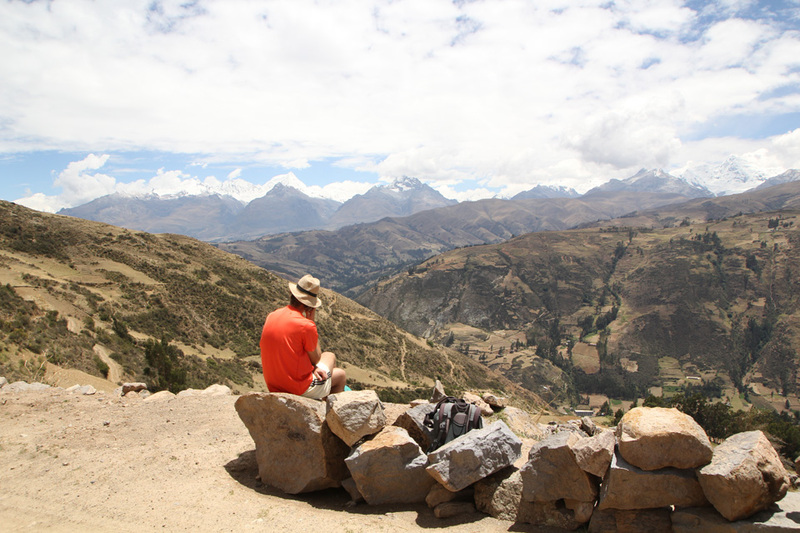 We can truly say that regular backpackers conversation anywhere in Peru and in nearby countries is almost always connected with the query about Machu Picchu. If we have already been there or when we plan to go there. And we somehow manage not to go to this sacred place. Firstly, it was the decision made by the fact that Peru is a huge country (3rd largest in South America). We didn´t want to use any aerial transportation so we only took day and night buses. Upon arrival, we got three months tourist visa and with those shorter volunteering stays, we simply didn´t have enough time to visit Machu Picchu. 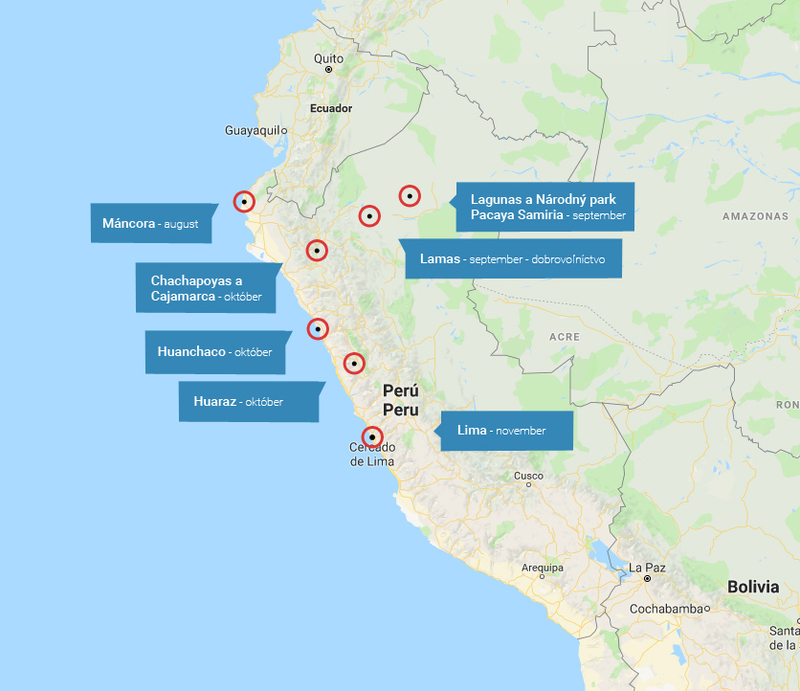 The second reason was that omnipresent feeling that Peru and the whole South America is only worth visiting if you also go to see that famous ruin. It is true that we never met anyone who was disappointed after seeing Machu Picchu, but we also heard loads of overpriced Cuzco, the capital of Inca empire, which was compared to Disneyland. 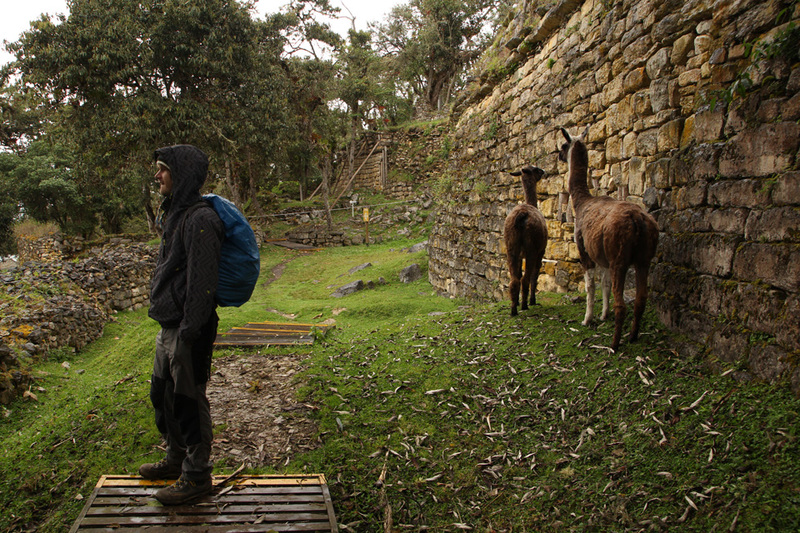 The real Inca trail, several days trek which leads to the famous ruin was sold out six months in advance and also other ways of transportation as a train or jeep ride all had that mass-tourism impression, which we don´t support, so we simply decided to skip that place. Northern Peru, which was our main area of exploring, is for above-mentioned reasons less touristy and so more appealing for us (We also visited Lake Titicaca, which is located on the southern border with Bolivia during our cycling trip, which is another story and I will not mention it here). We finally managed to see Amazonia and the South American Pacific coast, locations we visited neither in Ecuador nor in Colombia. 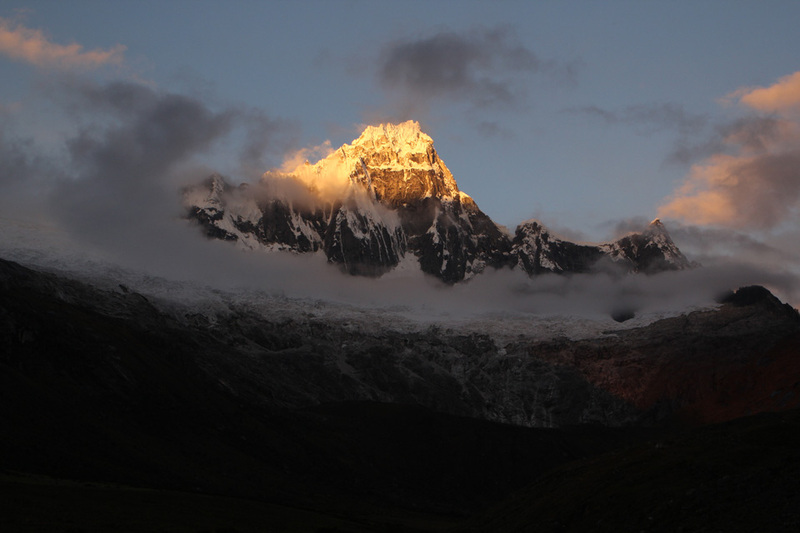 We had two interesting short volunteerings in deserted accommodation facilities in Lamas in Amazonia and in the mountainous Huaraz. It was the low season so there were not many guests. 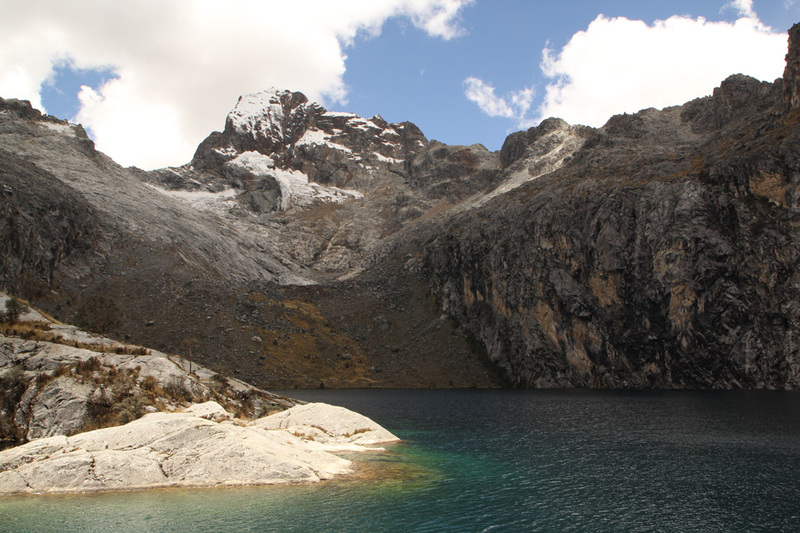 There were some trekkings too, around Chachapoyas and mainly in National Park Cordillera Blanca near Huaraz. We had two nice CouchSurfing experiences in Lima. Hitchhiking didn´t really work here as we had to pay the same price as we would pay using public transport. But it was still better for us as minibuses are uncomfortable. 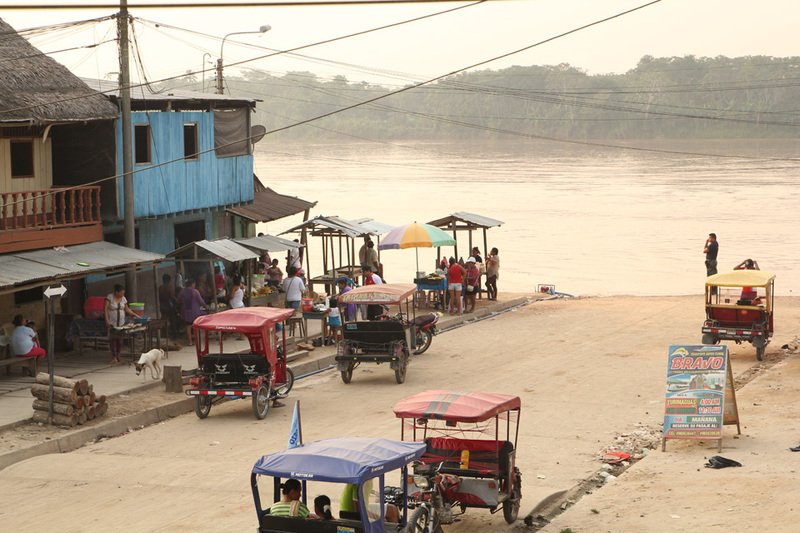 When it comes to transportation in general, we took several day and night buses, tried a different kind of vessels in the Amazonia and also used sometimes mototaxi, local rikshas. Bus rides are always memorable in this continent, super comfortable vehicles, sometimes with fully reclining seats, enough space for your legs and service on board. A paper ticket is not really required, foreigners are requested to show their passports and locals use their IDs in order to get on board. Buses are really of a good quality because domestic flights are expensive so this kind of transportation is blossoming. The ride itself is although often full of adrenaline. Mains roads are mostly asphalted, for instance, the highway along the Pacific coast is well maintained with great desert views. The roads in hilly areas are much different, narrow lines, deep gorges, many times without guard rails. Simply unforgettable. And do you know what does it mean the abbreviation „PKK“ which is written on many walls in the country? It is not the outlawed Kurdish working party which can be seen on the walls in Turkey but the abbreviation of the current Peruvian president, Pedro Pablo Kuczynski, who was born in Peru to the European immigrant parents that is why he has a Polish name. Last year, Peru successfully qualified for the Football World Cup after 36 years. This year, they will go to Russia. It was the real craziness when the final matches were played. Vamos Perú. We came to Máncora at the end of August from Cuenca, Ecuador. The night bus ride was horrible, it took us more than two hours to cross the borders and they also changed buses along the way with additional waiting times so we needed to sleep a lot after arriving in our hostel. This interesting touristy town lies in the coastal desert with strong winds during a day. The wind usually stops in the evening. It is sunny all year round so it is said that Máncora is the best sunny resort in the whole country. Peter tried to swim in the cold Pacific a few times, I was resting only as I felt sick there. 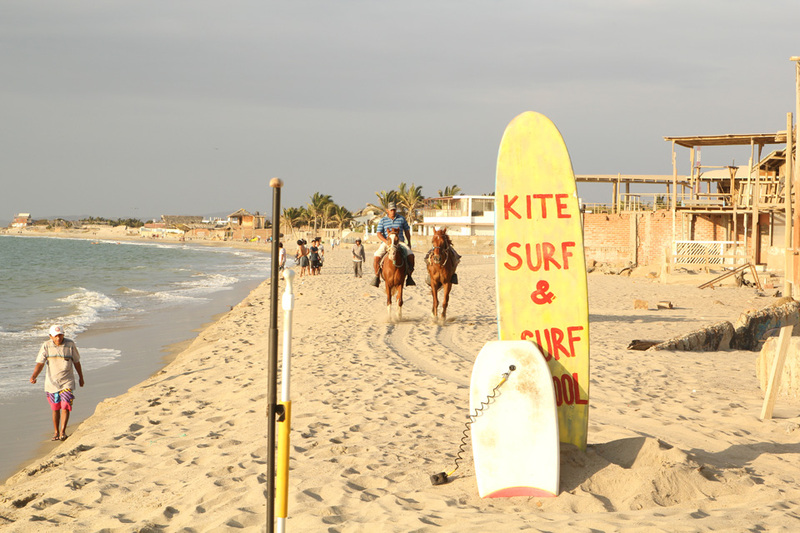 Great waves were paradise for surfers and kite-surfers and beach horse riding was also very popular. We also met there Lauren and Kate, two British girls we knew from the hostel in Quito. Peru is third largest South American country and more than half of its territory consists of the Amazonian jungle. We didn´t manage to visit this region in Ecuador nor in Colombia due to the long distances. So we decided to check it in Peru. We stayed in Lamas two weeks. Our job was quite different for this time. We only did a cleaning of inside and outside places because it was a low season in the hostel, so there were almost no guests. We were cleaning daily big house and Montessori kinder garden which were run by Hippie couple, Aybe from Lima and Enrique from Venezuelan Caracas. They were both vegetarians, doing business with pure coconut oil and supporting alternative education, like the kinder garden which was established after the birth of his son Gal. The whole complex was located at the end of the village, in a real jungle. 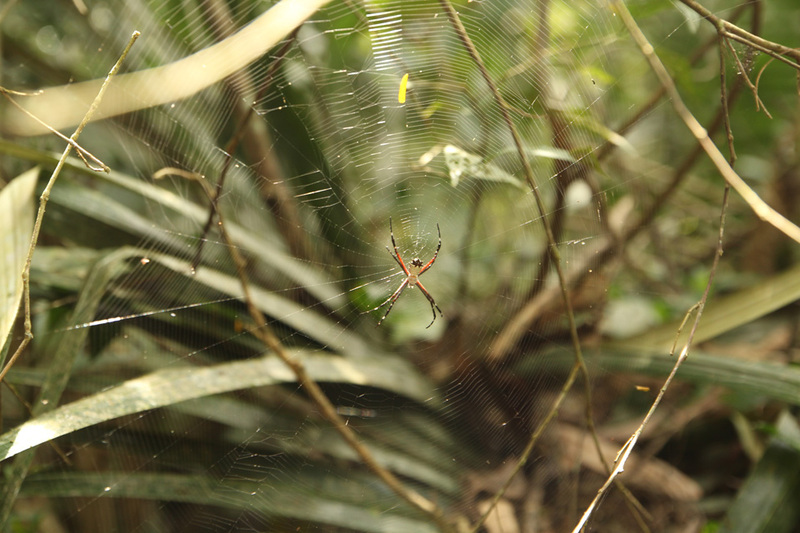 Two times per day, the strong superficial sound of insects has echoed all around. A magnificent orchestra. Being located in the 800 meters above the sea level, Lamas has a very pleasant climate, not that hot during the day and at night, a light jacket was needed. 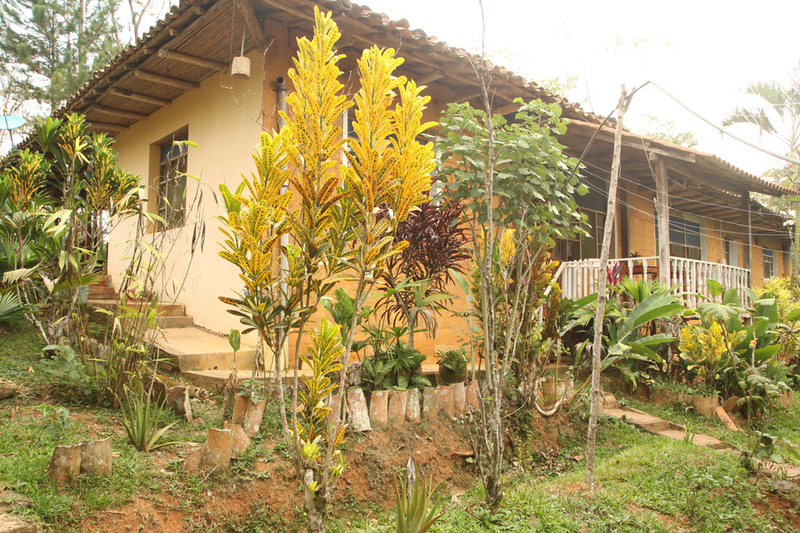 The work itself was not super easy and we also didn´t get on too well with the management, but the town and nearby jungle was a very nice place for relaxing. This stay will be most probably one of the South American highlights. 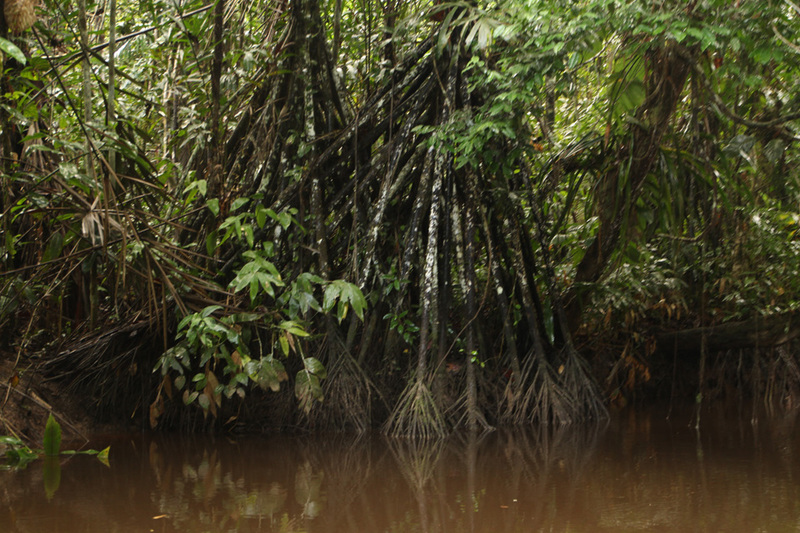 The real Amazonian jungle, a protected area of Pacaya Samiria, where we spent two days in a fragile canoe observing colorful parrots, crazy monkey and pink river dolphins was truly unbelievable. We ate grilled piranhas on the terrace lit by the candles only and listened to the strong jungle sounds. 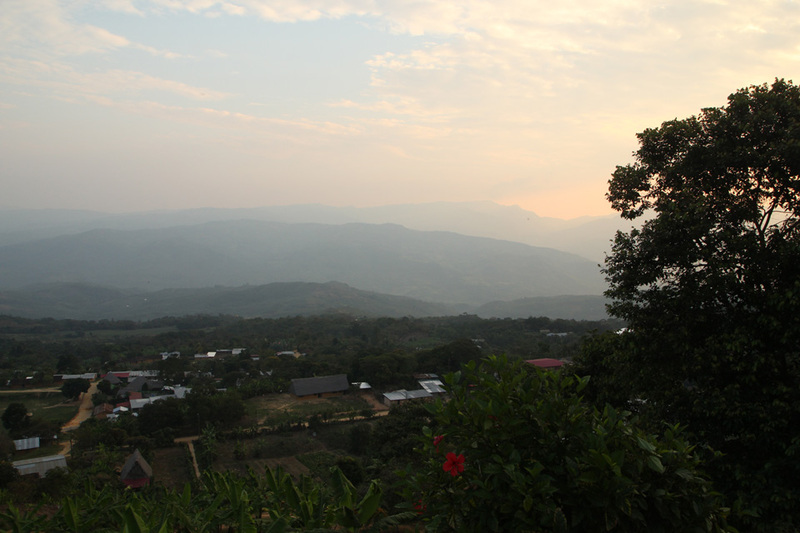 In order to get to the national park, we had to take a minibus from Tarapoto to Yurimaguas (3 hours). 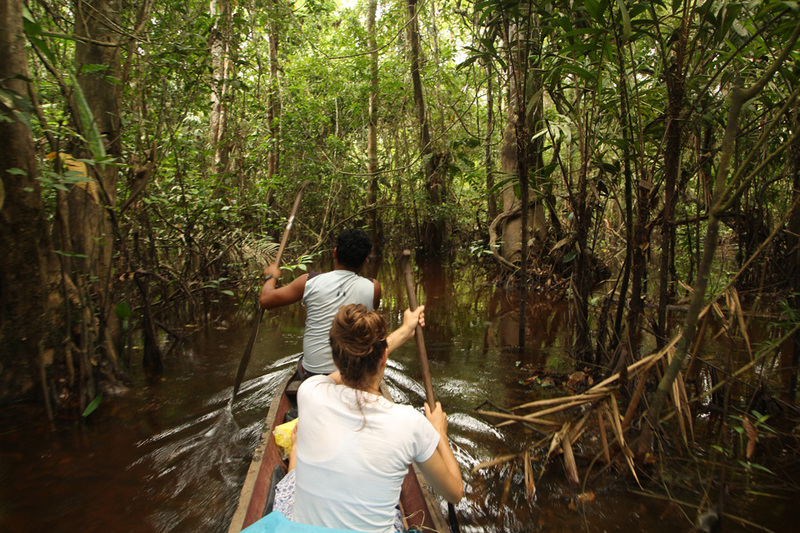 The paved road ends there and further transport deeper into the jungle is possible only by boats via huge Huallaga river. 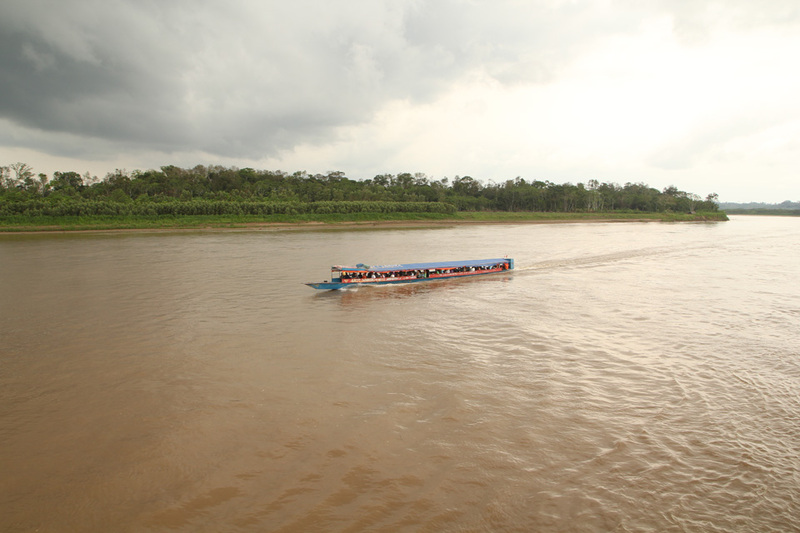 So we took the big ferry boat which goes all the way towards Iquitos, the largest city in the world without road connections. 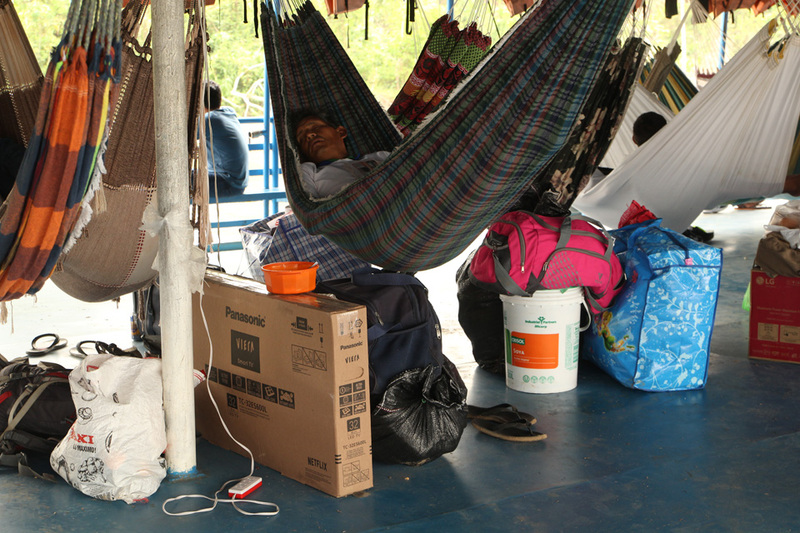 The whole journey to Iquitos can take up to 2-3 days. We didn´t want to go that far so after twelve hours on the boat, we got off in Lagunas, nice jungle village where we spent almost a week trying to get to the mentioned national park. A tiny hot village had only twelve hours of electricity per day (mornings and evenings) so it reminded us of our volunteering in Nepal. The water was also scarce. After so much time spent in the Amazonia, mountains were really needed! 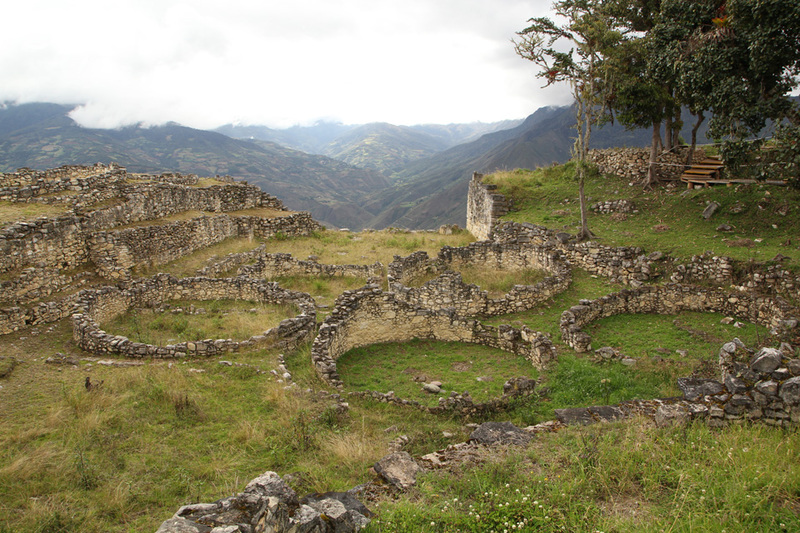 So that is why we ended up in a nice colonial town of Chachapoyas located in 2300 meters. Hike to the amazing Kuelap ruins was very demanding but worth it! Ascending from 1800 meters up to the 3000 meters took as almost whole day so we decided to sleep on the top and fully enjoyed the remains of Cloud People dwellings accompanied by a mysterious mist. The cable car was installed only recently so there were almost no tourists. It was our personal Machu Picchu. 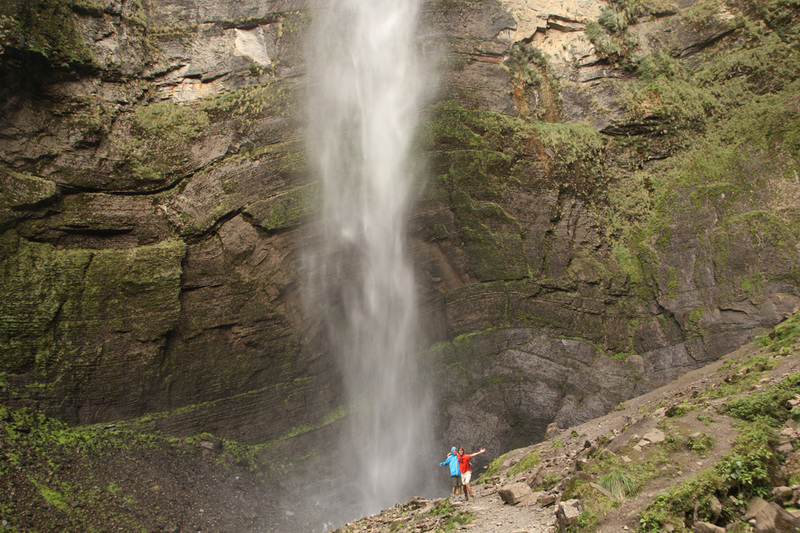 Short hike to the two-level Gocta waterfall was also very interesting. Only recently discovered falls were really powerful. We arrived in Cajamarca by night bus from Chachapoyas and this ride was undoubtedly the most exciting of the whole continent so far. Single track road, no guard rails and deep abyss. Crazy and scary! Check this video if you want to see more. 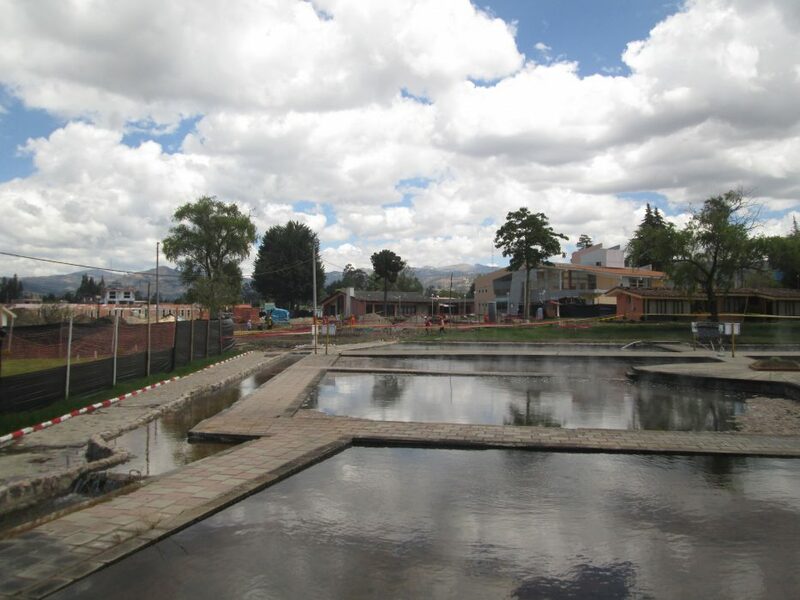 There are thermal baths in Cajamarca where we ended up twice and enjoyed the relaxing healing water. They are named after the last Inca king Atahualpa, who liked them too. But the city of Cajamarca was not that nice to him as he was firstly arrested there, then held in prison for several months and later executed on the main square in the summer of 1533. After this act, the Spanish colonization of this continent took over. Here, we also managed to meet our Slovak friend Peter Perešíny, crazy cyclist, who is currently on a long trip cycling from South Argentina all the way up to Colombia. You can follow him here. He totally inspired us so we all planned there our Titicaca cycling trip. Thanks! 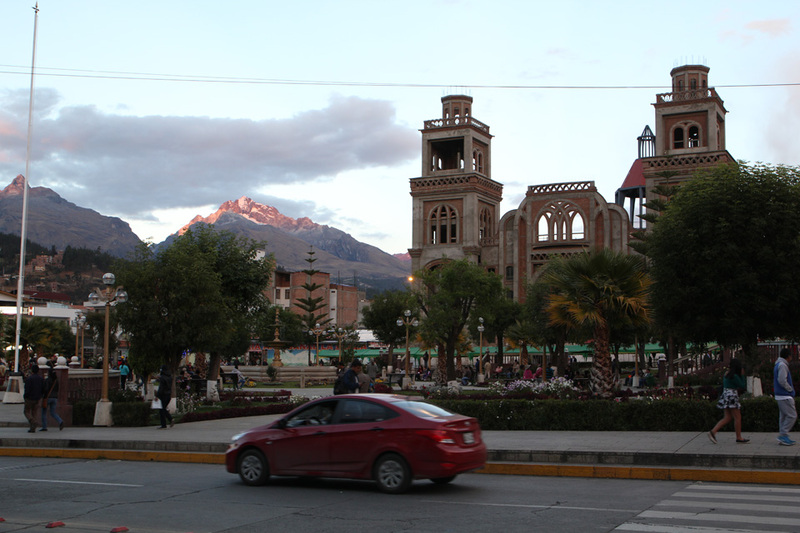 We initially didn´t want to visit this town but Andean mountains roads do not provide a direct connection via mountains between our last destination and Huaraz so we ended by the ocean for a few days. Not knowing the current weather situation, we thought we would go swimming and sunbathing. The reality was quite different. It was sunny but super cold and windy, we simply wore the same warm clothes that we had in the 3000 meters heights a few days ago. Surfers and kite-surfers didn´t mind the weather and were enjoying fully. Chan Chan, the archaeological site is located just nearby the resort. 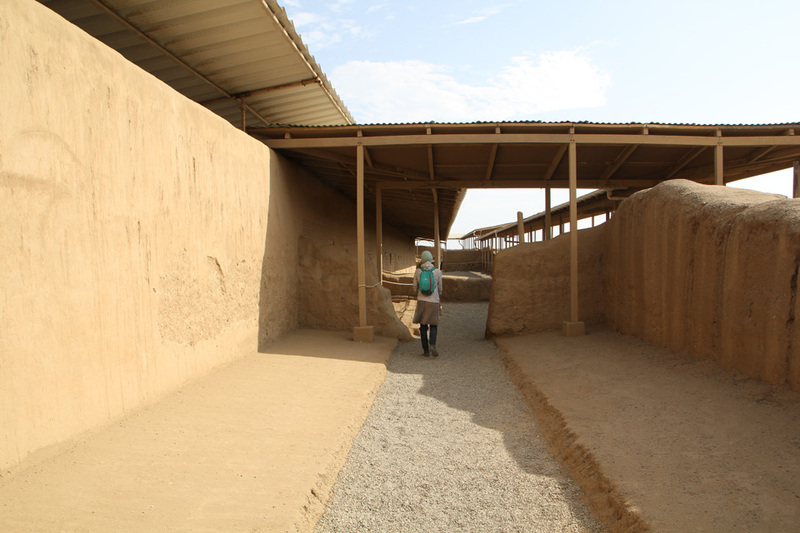 This adobe city is considered one of the largest in the world and is truly breathtaking. 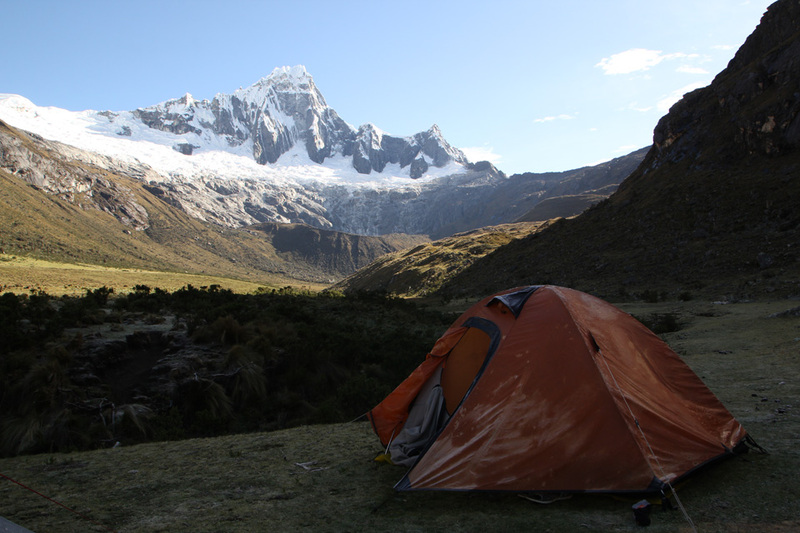 As we are mountain lovers, we wanted to spend as much time as possible in Huaraz. Totally, it was three weeks. First days were dedicated to unusual volunteering in an empty hostel because of low season. Our work consisted of helping with online marketing, translations, web design and cleaning. After successfully completing several starting hikes, we were ready for something more demanding. 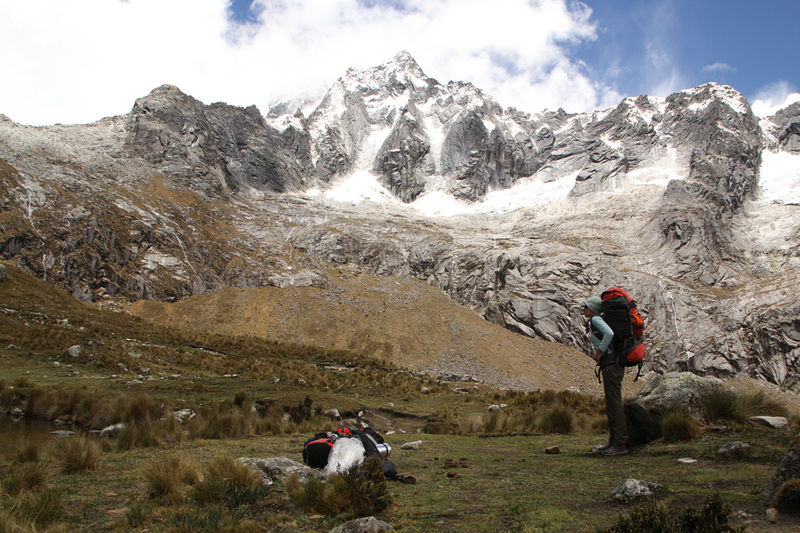 We chose the famous and most popular 4-day trek Santa Cruz. The period a the end of October and beginning of November was not perfect because the rainy season was about to start soon. That is why it took us five days instead of four. We didn´t want to go through the highest point of the whole trek Union Pass (4750 meters) during a strong rain so we rather waited safely in the campsite for the better weather the next day. Since then, there was no more rain, only strong sun, and wind. There are no mountain huts in the National park of Huascarán, so we had to carry all our sleeping and cooking equipment with us. We rented everything except for a sleeping bag and mats. It was really a difficult hike for both of us as we had a significant load on our backs which was a new way of trekking. To be honest, I had way more energy during the first days when I was carrying more stuff. It is very illogical but this was my case. 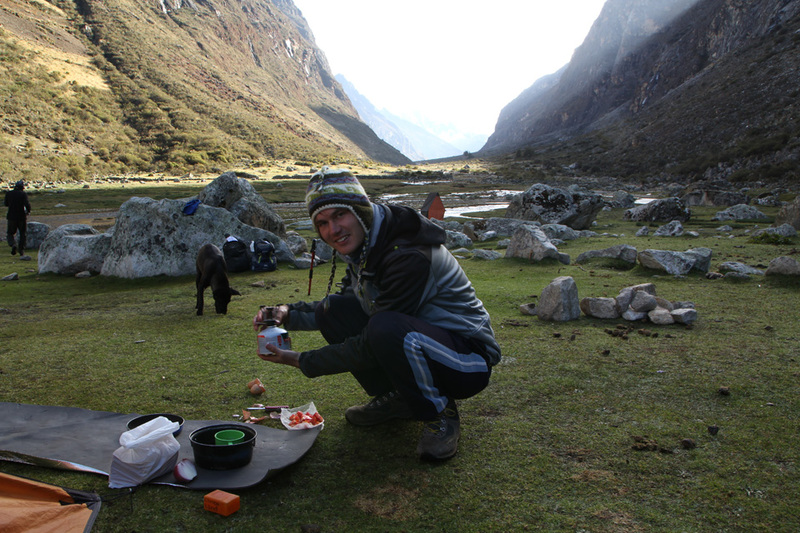 Peter is preparing luxurious last breakfast during trekking: scrambled eggs! We spent five nights in Lima and I think it was not enough. 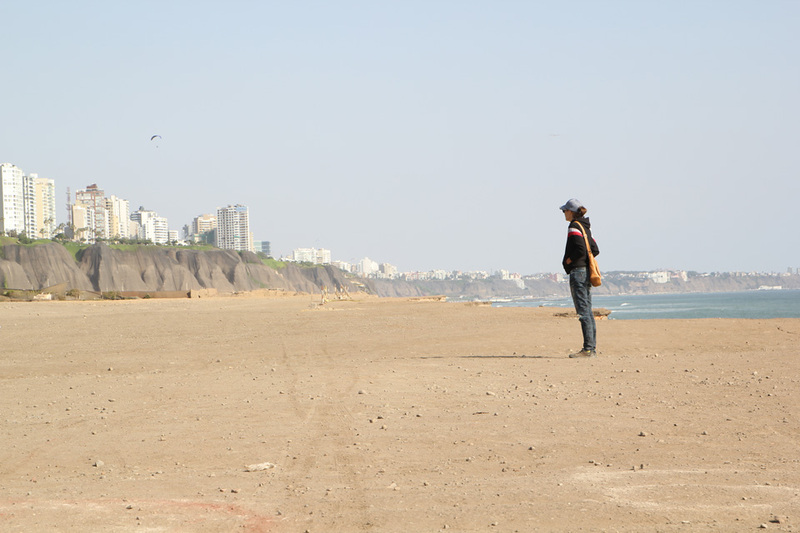 I really love big metropolises and Lima is definitely worth visiting. In this busy coastal and desert city live almost one-third of the country. 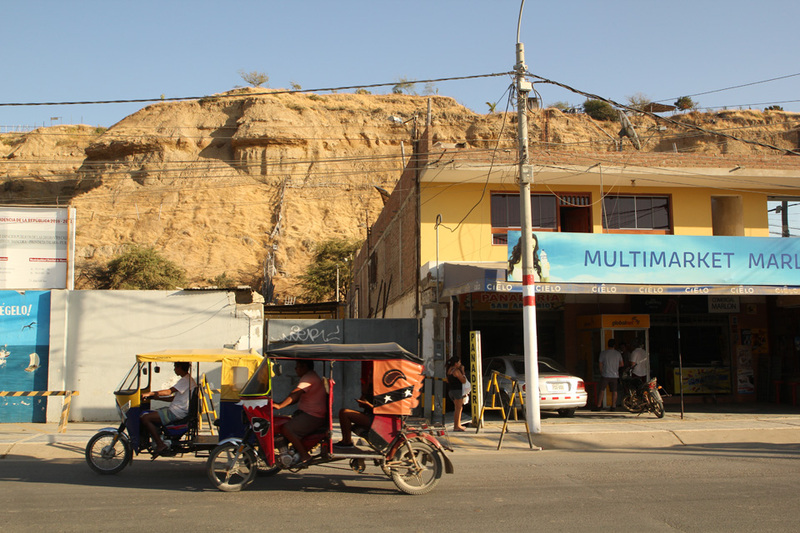 There are many shanty neighborhoods on the outskirts and also many very upscale districts in the center. We stayed at two different CouchSurfing hosts. For the first two nights, it was Augusto who hosted us in his super modern bright apartment located on the 9th floor with ocean view. He is an active host and traveler who showed us famous Miraflores district by night and we enjoyed a few beers together 🙂 Mavi hosted us for the rest of our stay. At the same time, there was another surfer German-Venezuelan girl. We all enjoyed together preparing and eating famous Venezuelan arepas, corn pancakes we got to know in Colombia. 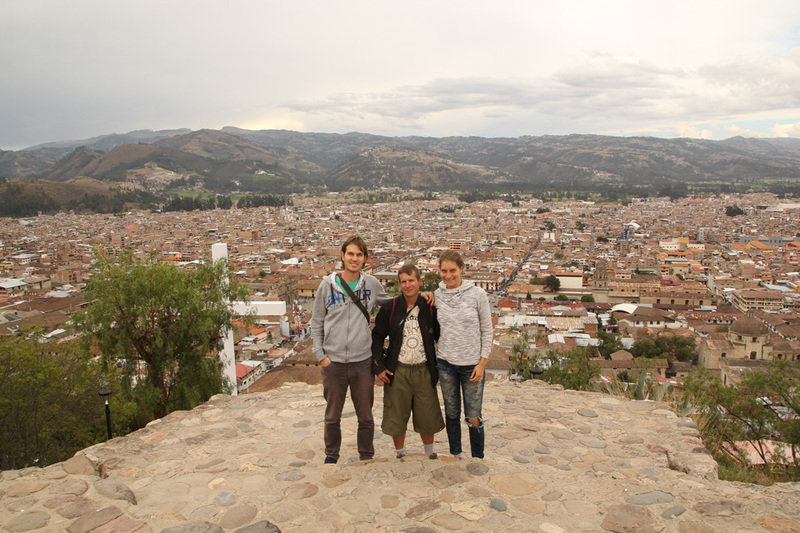 We also met Slovak girl Monika, who is living in Lima with his local boyfriend. 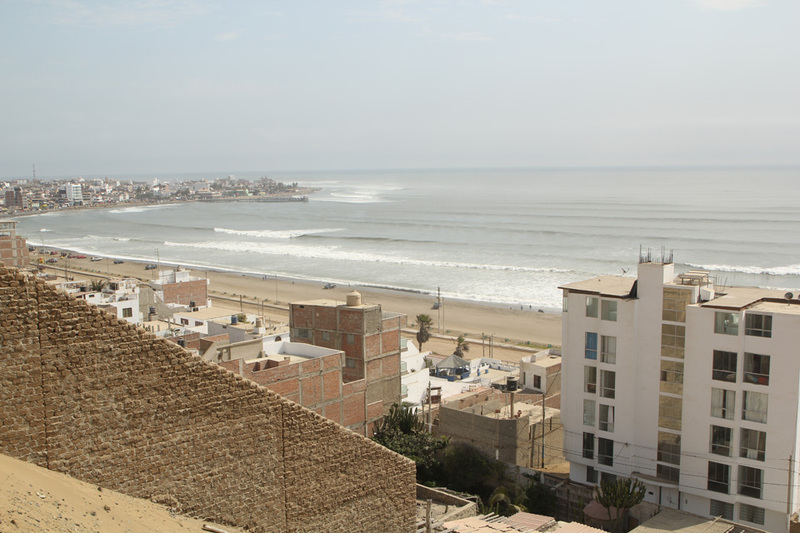 In all traveling books, Lima is described as the second driest capital in the world (Kahira is the first one) also known for its foggy weather and little sunshine. We surprisingly experienced lots of sunbeams during our stay there. We totally enjoyed sunny Sunday walking along the Pacific, saw well-preserved historical center under Unesco protection and strolled along modern Miraflores district. We finished our stay by sleeping at the Lima airport. Modern airport provided adequate options for sleeping travelers. There were dozen other persons lying on the floor around us. Some with sleeping bags and mats, some without. 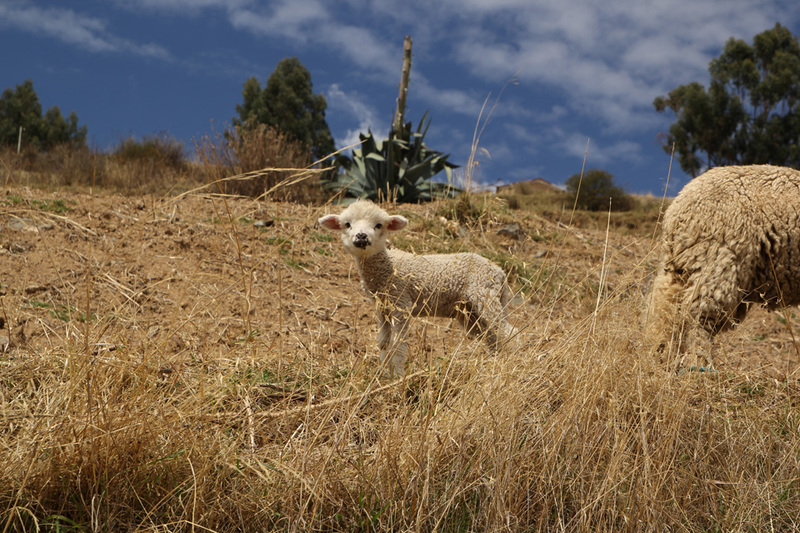 We saw a lot during our almost three-month-long traveling around Northern Peru. Unusual natural and historical places we will never forget. All are highly recommended for visiting! Thank you, Grammarly, for checking my spelling.